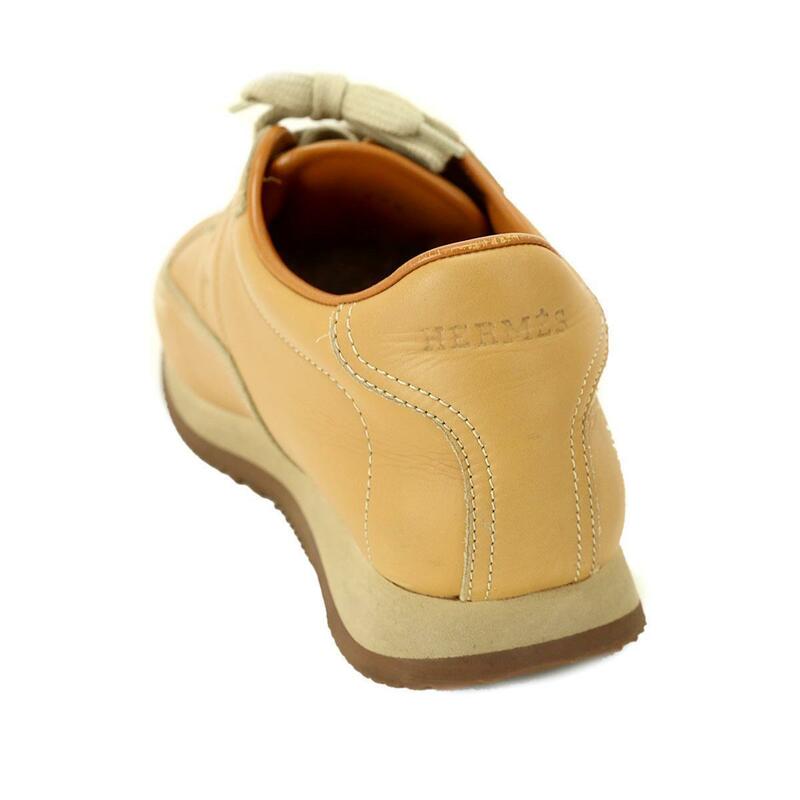 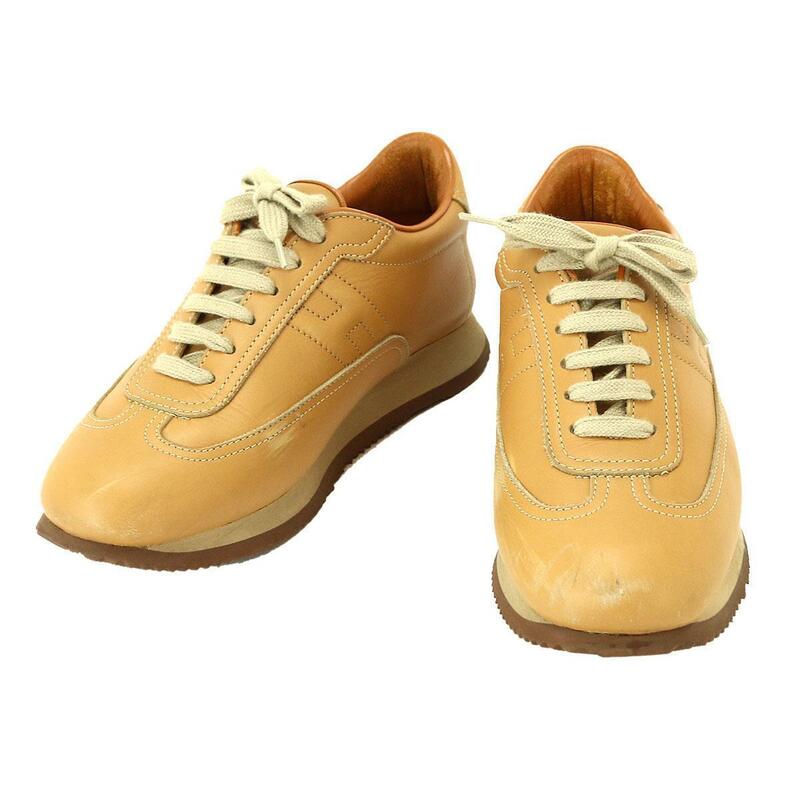 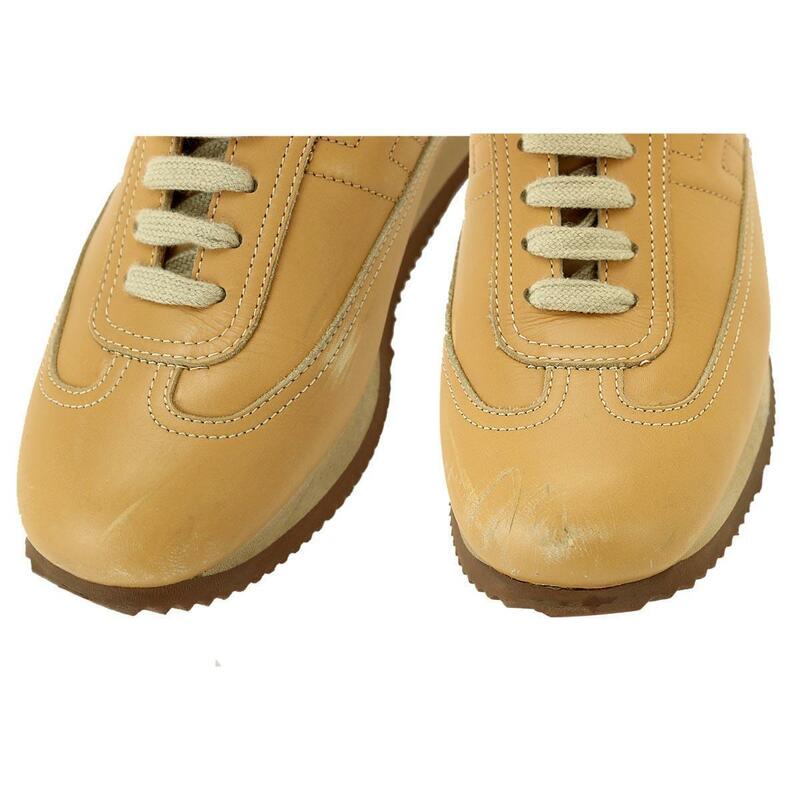 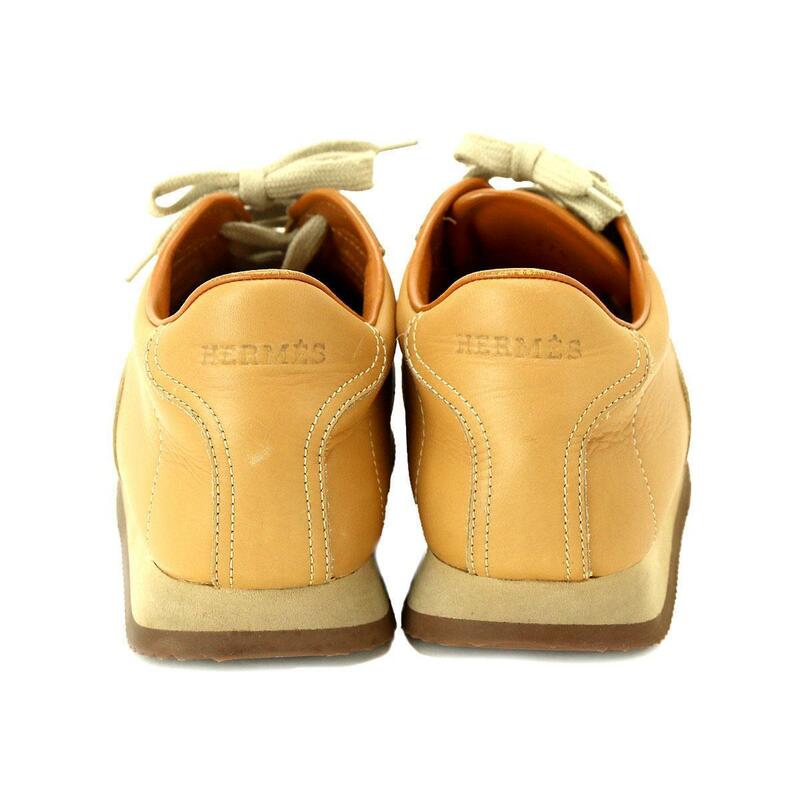 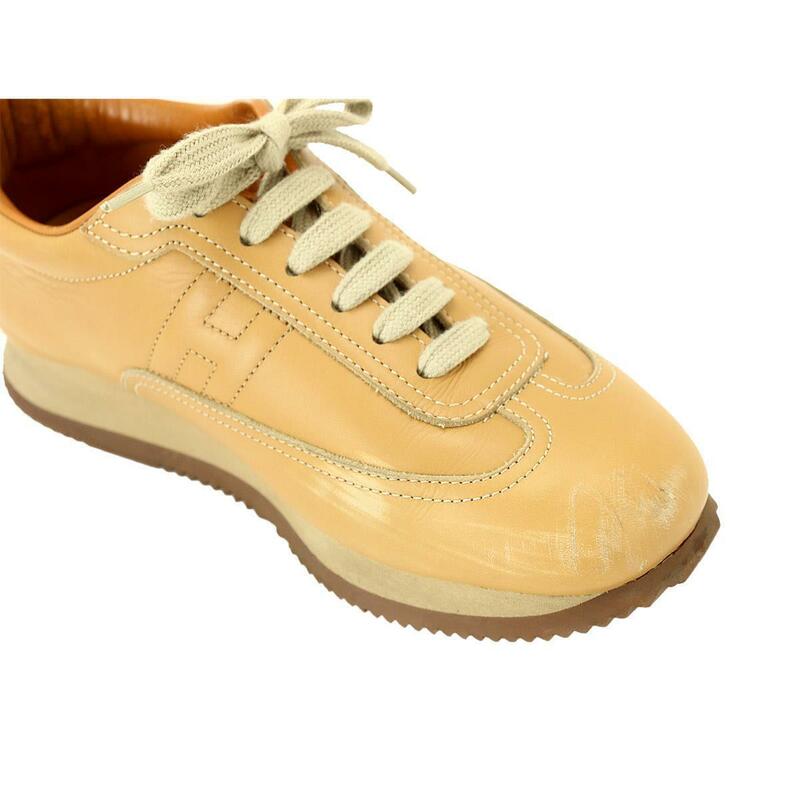 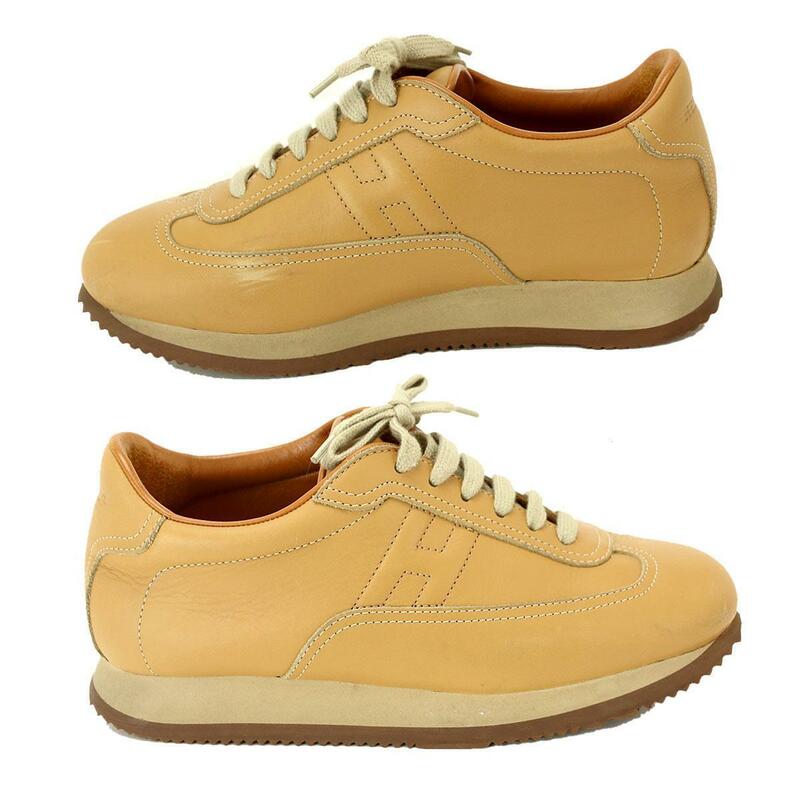 HERMES Quick Sneaker Beige 37 1/2 [small item] ★ ー The best place to buy Brand Bags Watches Jewelry, Bramo! 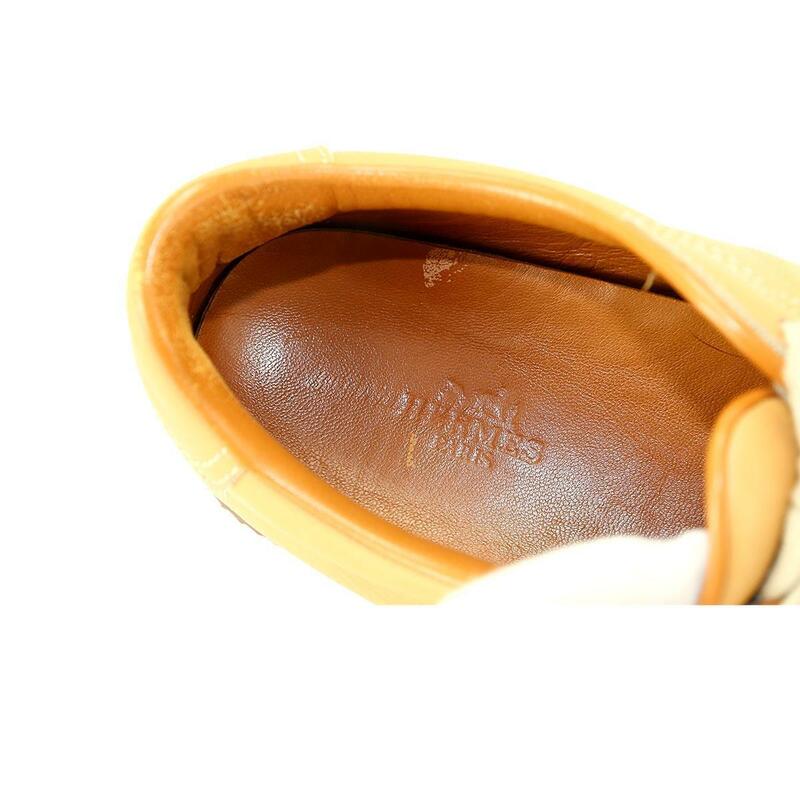 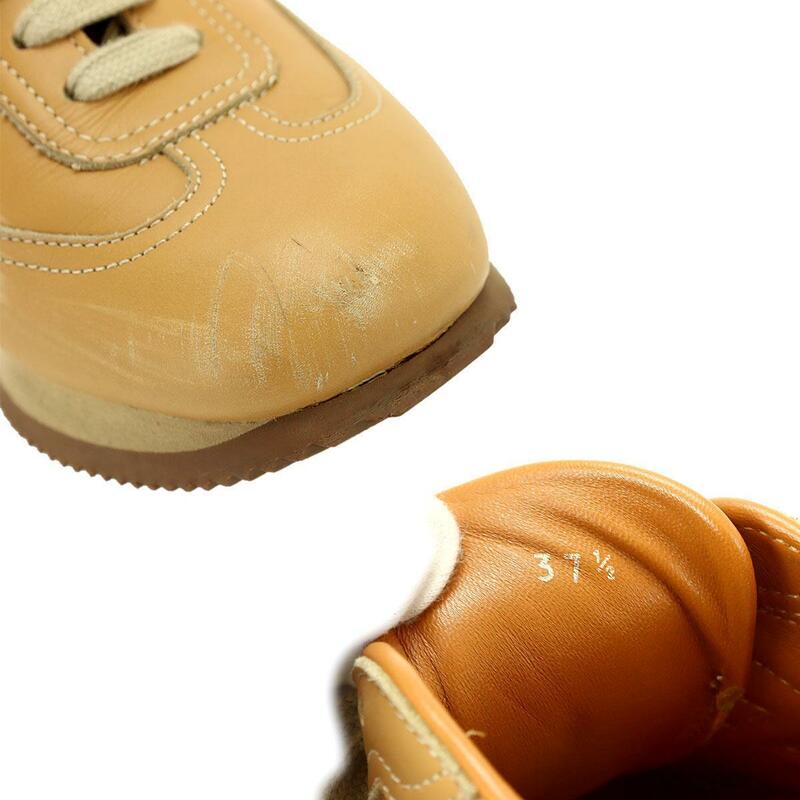 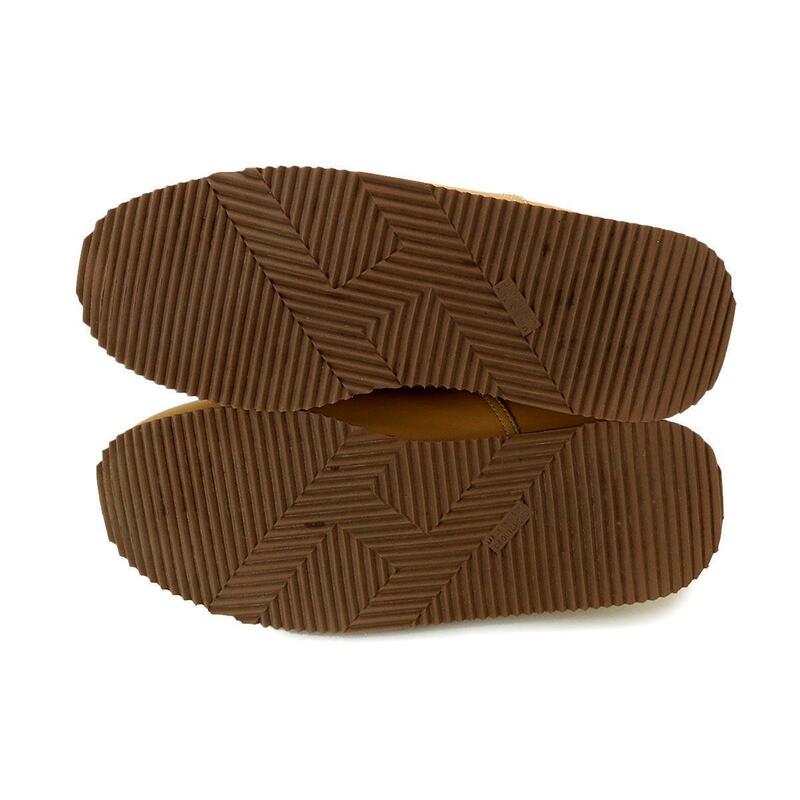 Outside: There are scratches and dents on the leather, and thin stains on the sole. 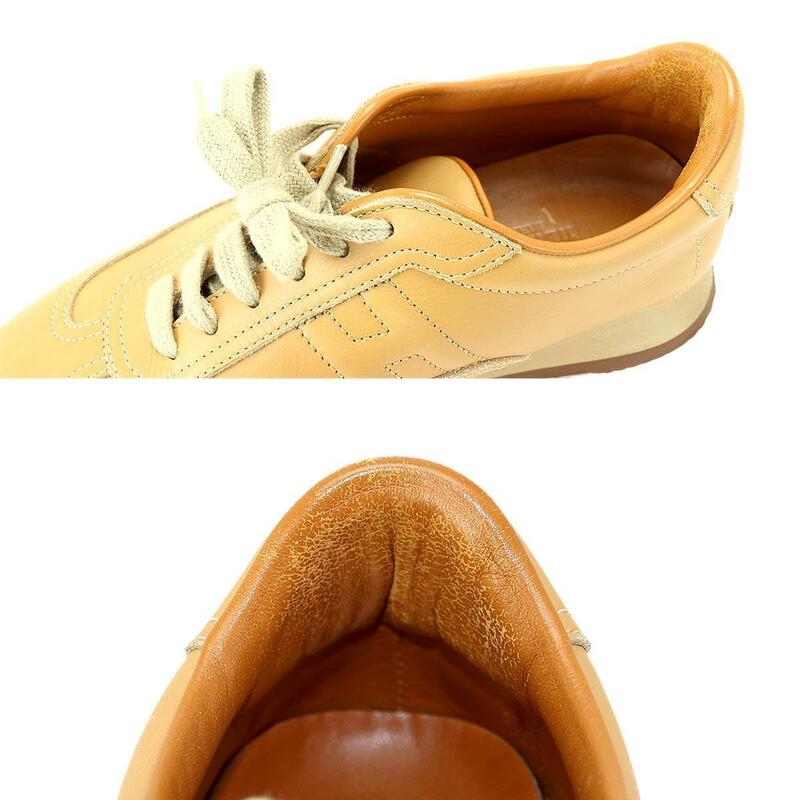 Inside: Some wrinkles are in a beautiful condition.